Samoa’s distinctive elei is something the passionate co-owner of Rimani Samoa, Laureen Lees-Vaai, cares deeply about. Established in 2007, Laureen shares the business load with her husband, Saleimoa Vaai, who is an international Pilot. Laureen shared with the Samoa Observer; the struggles when they first started. “We started off with a merchandise store called Alofa Peti,” she said. “And with the influx of foreigners was no help at all. We were selling the same stuff they were selling but theirs was going for a much cheaper price. “That was the biggest challenge we faced, was competing with the foreigners,” said Laureen. “There were suggestions about having our elei on our materials and the idea was considered and that’s when we started with our elei,” said Laureen. She told the Samoa Observer that initially, they contracted someone to do their elei. “We now have a total of 15 employees and it’s been good having hardworking, devoted and committee people who share the same passion for elei,” said Laureen. About 70% of Rimani Samoa’s customers are online subscribers who order from all over the world. “We are proud of our contribution in promoting Samoa to the world, through our national wear our elei products,” she told the Samoa Observer. 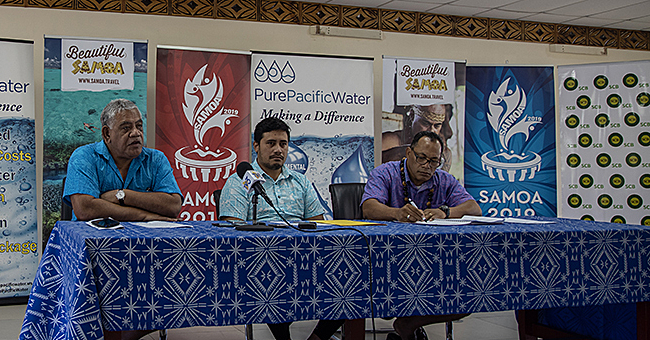 The different holidays like father’s day and mother’s day, benefits Rimani Samoa significantly. Mother’s days and White Sunday is Rimani’s busiest time. “By time we are finished with the orders of mother’s day in May, we get ready for mother’s day in Australia,” she said. Laureen believes in perfection in everything they do. 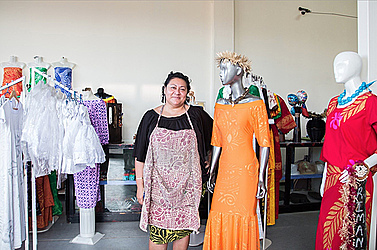 “I want everything to be perfect for the customers, their satisfaction in how they feel being in a beautiful elei dress is a reflection of our work that is why I pay attention to every little detail,” she told the Samoa Observer. A hard working mother of five, Pauleen is at the shop between 12-16 hours daily. Pauleen is thankful to all the Samoans and Pacific islanders living off island who are keen on representing the Pacific. Rimani Samoa is at its new location in Fugalei.